Why See 20,000 Leagues Under the Sea? Journey below the sea to a remarkable world in this adaptation of Jules Verne's adventure novel. 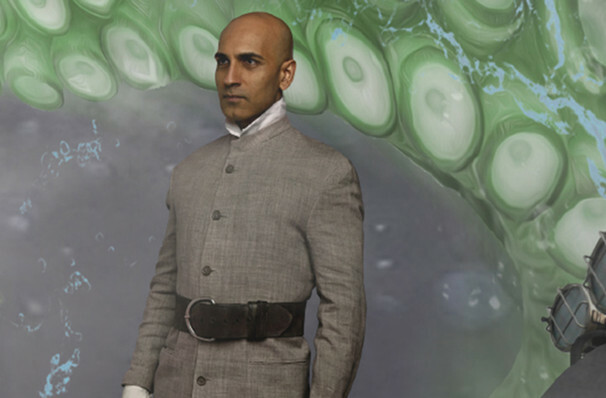 Written and directed by David Kersnar this astonishing staging tells the tale of Professor Arronax, Captain Nemo and the Nautilus with wonder as they discover the mysteries of the ocean. A literary classic published in 1870, 20,000 Leagues follows Arronax as he is investigates sightings of a momentous sea creature that turns out to be the personal submarine of the eccentric Captain Nemo. Captured, Arronax and his crew are imprisoned on the sub where they discover a marvellous world full of giant squid, coral reefs, sea caves and more that await them beneath the waves! Sound good to you? 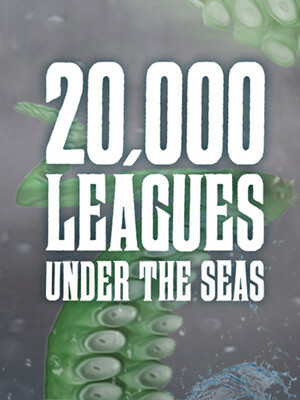 Share this page on social media and let your friends know about 20,000 Leagues Under the Sea at Lookingglass Theatre. Please note: The term Lookingglass Theatre and/or 20,000 Leagues Under the Sea as well as all associated graphics, logos, and/or other trademarks, tradenames or copyrights are the property of the Lookingglass Theatre and/or 20,000 Leagues Under the Sea and are used herein for factual descriptive purposes only. We are in no way associated with or authorized by the Lookingglass Theatre and/or 20,000 Leagues Under the Sea and neither that entity nor any of its affiliates have licensed or endorsed us to sell tickets, goods and or services in conjunction with their events.